Italian rock band from the 70's. 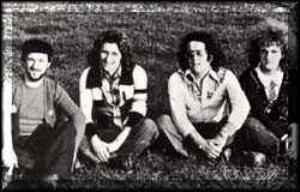 The band was formed by: Marzio Mazzanti (b. 1948), bass guitar and vocals, Robustiano "Roby" Pellegrini (b. 1947), keyboards, Claudio Lumetta (b. 1951) vocals and drums, Maurizio Nuti (b. 1956) guitar and vocals (who substituted Rodolfo Maltese when he went to Banco Del Mutuo Soccorso). Later Pellegrini was substituted by Stefano Vincenti.